Paul Giamatti is a seasoned American actor and producer with a career spanning the last two decades. He has played diverse roles in many movies from low scale projects to critically acclaimed box office golds. Most people would recognize him for his work in Private Parts, a Howard Stern biopic, as well as Saving Private Ryan, the phenomenal Cinderella Man, and box office sweetheart – Sideways. He has earned significant praise and fame for his performances including his role as John Adams in the eponymously titled HBO series which won him a Golden Globe, Emmy Award for Primetime TV, and the Screen Actors Guild Award. Paul was born into a family of five in Connecticut to parents who were academics on June 6, 1967. His father, Bart Giamatti was a professor at Yale. The man rose to become University President and was appointed Major League Baseball commissioner after he left Yale. Paul’s mother was an English teacher and homemaker with a background in acting. The prolific actor began his education at Foote School, before moving on to Chose Rosemary Hall. He studied English at Yale, participating in the theatre scene at the school. After graduation, he returned to Yale School of Drama to bag his Master’s degree in Fine Arts. His acting career began with theatrical plays, he got featured on Broadway and later got screen time from appearing in small TV and film roles. Paul Giamatti’s big break came when he was chosen to play the antagonist of Howard Stern in the biopic about the life of the radio personality titled Private Parts. After this, his popularity rose and he began to be sought after for more and more roles. This led to him getting supporting positions in some major films including Saving Private Ryan, The Truman Show, The Negotiator, and Man on the Moon. The opportunity for his own lead starring role came with HBO movies, American Splendor and If These Walls Could Talk 2. The former brought him several award nominations. He cinched a role in Sideways in 2004, which brought him nominations for Best Actor at the Screen Actors Guild Award and for Best Performance at the Toronto Film Critics Association Award. Hollywood began to recognize Paul Giamatti as an incredible actor and remarkable performer with a range that many could only dream of. In 2005, he received his first Oscar nod for Cinderella Man, which won nine other awards. From this point on, his career was set. He could pick and choose what roles he wanted and tried his hands at diverse characters including John Adams, the protagonist of the HBO miniseries, which won him a Golden Globe, an Emmy and many more awards. Paul delivered magnificent performances in several other movies such as The Hangover Part II, Win-Win, Rock of Ages, 12 Years a Slave, The Amazing Spider-Man 2, and Madame Bovary. He also diversified into voice acting, lending his voice to animated film projects like The Little Prince, Ant Bully, as well as video games and audio books. The reputable actor has made quite a name for himself, which is no doubt evidenced by the size of his bank account. As of 2018, he is estimated to have a net worth of about $25 million, and he has definitely earned every penny along with bragging rights. Paul Giamatti married his girlfriend, Elizabeth Cohen in a beautiful ceremony on October 13, 1997, after dating her for months. However, the union did not last very long as the pair got divorced sometime in the early 2000s. 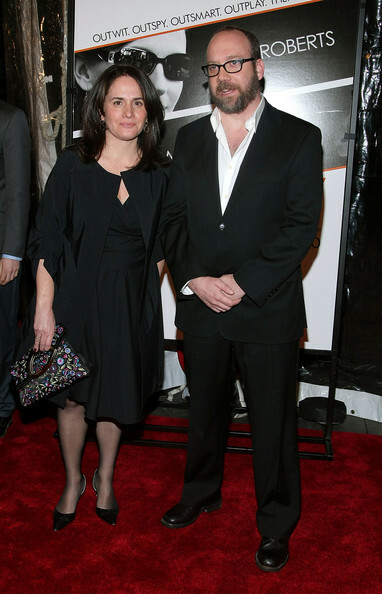 They have a son together, Samuel Paul Giamatti who was born in 2001, a few months after their separation. 1. Paul Giamatti was originally approached to play the role of Michael Scott on the hit American TV series, The Office, but he turned down the part. Makes you wonder how different the series would have been had he accepted the role. 2. He didn’t always want to be an actor. His first dream was to become a professor, just like his father. Even though he used to put on weird costumes and pretend to be a character from a movie, it was more because of his odd nature rather than a passion for acting. 3. He is surprisingly very happy to play a supporting role in films instead of the lead. He believes it gives him more room to have fun with the character. 4. Paul Giamatti once had to sit in human poop while playing a homeless character in NYPD Blue. 5. Before he accepts a movie role, the first thing he considers is whether he’s going to get bored playing the role.